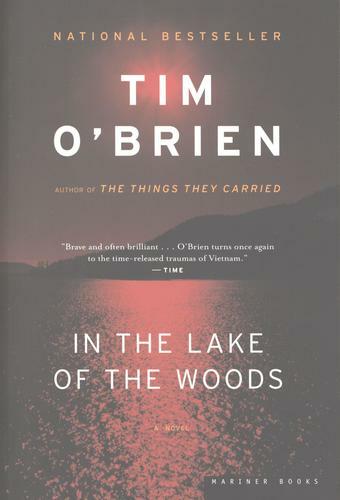 First published to critical acclaim by Houghton Mifflin, Tim O’Brien’s celebrated classic In the Lake of the Woods now returns to the house in a gorgeous new Mariner paperback edition. This riveting novel of love and mystery from the author of The Things They Carried examines the lasting impact of the twentieth century’s legacy of violence and warfare, both at home and abroad. When long-hidden secrets about the atrocities he committed in Vietnam come to light, a candidate for the U.S. Senate retreats with his wife to a lakeside cabin in northern Minnesota. Within days of their arrival, his wife mysteriously vanishes into the watery wilderness.